The Supreme Court ruled in favor of a baker who refused to produce a cake for an event that he opposed on moral grounds. The 7-2 decision settles the most important religious liberties case before the court this term, yet in what was a markedly narrow opinion, the Justices unambiguously left room for other similar cases to be decided on their own merits. Given its limitations, Orthodox groups welcomed the ruling with caution. Religious liberty advocates had hoped that the court’s ruling would settle a slew of similar cases that have cropped up in lower courts in recent years regarding how the justice system should balance between rights of conscience and “equal-treatment” laws. 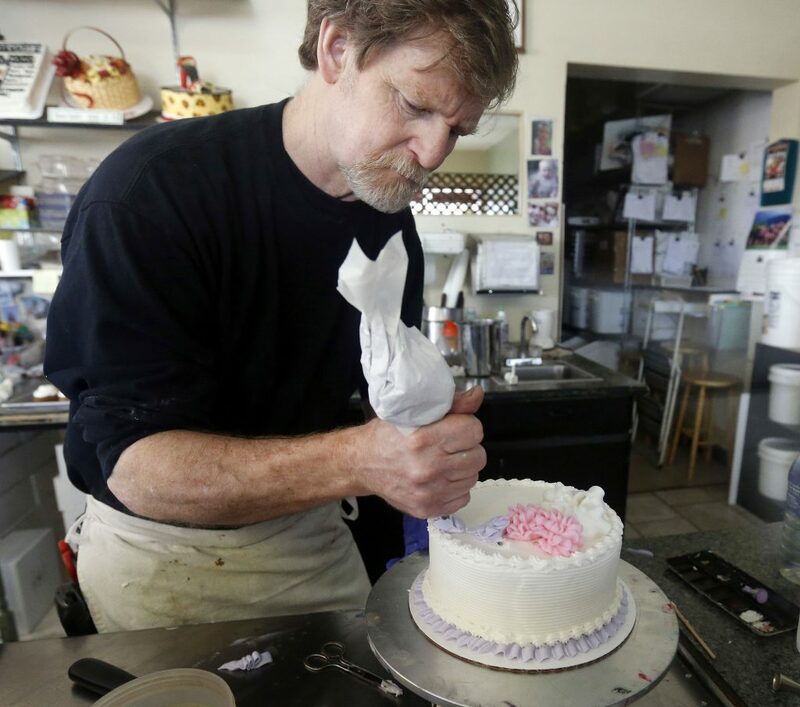 Yet, the court’s decision turned almost entirely on what it saw as unfair treatment and anti-religious bias on the part of the civil rights commission that ruled originally against the baker, Jack Phillips. “The delicate question of when the free exercise of his religion must yield to an otherwise valid exercise of state power needed to be determined in an adjudication in which religious hostility on the part of the State itself would not be a factor in the balance the State sought to reach. That requirement, however, was not met here,” wrote Justice Anthony Kennedy in his opinion for the majority. Notably, the decision was joined not only by the court’s four conservative members, but also by Justices Stephen Breyer and Elena Kagan, who tend to vote along liberal lines. Justice Kagan, however, penned a concurring opinion stressing the limited nature of the decision. Justices Ruth Bader Ginsberg and Sonia Sotomayor dissented. In 2012, the Colorado Civil Rights Commission concluded that Mr. Philips had violated the state’s anti-discrimination statute by turning down the request to bake a cake due to his religious objections to the event for which it was being ordered, a position that was later upheld by a state court. “This sentiment is inappropriate for a Commission charged with the solemn responsibility of fair and neutral enforcement of Colorado’s antidiscrimination law,” wrote Justice Kennedy in reference to this and other statements that he felt revealed a clear anti-religious sentiment by the commission. As further evidence of the commission’s prejudice, the Court pointed to three cases where other bakers refused to produce cakes that conveyed the position of religious traditionalists regarding the events in question. In those instances, the same group defended the rights of these bakeries to turn down orders that expressed a message with which they disagreed. Mr. Philips’ attorneys had based the core of their argument on the fact that the self-described “cake artist” does not produce standard baked goods, but rather highly decorative and personalized wares. As such, they claimed that forcing his “Masterpiece Cakeshop” to produce a cake celebrating an event to which he objects would constitute “forced speech,” thereby violating his freedom of expression. During the Supreme Court’s hearing, the Justices drew several laughs from the audience as they debated the issue of whether cake could or could not be considered art. The ruling largely ignored speech considerations and left the matter undecided. “The free speech aspect of this case is difficult, for few persons who have seen a beautiful wedding cake might have thought of its creation as an exercise of protected speech,” wrote Justice Kennedy. The Alliance Defending Freedom (ADF), a prominent religious liberty law firm that represented Mr. Philips, welcomed the ruling, but seemed to criticize its limitations. “Creative professionals who serve all people should be free to create art consistent with their convictions without the threat of government punishment. Government hostility toward people of faith has no place in our society, yet the state of Colorado was openly antagonistic toward Jack’s religious beliefs about marriage. The court was right to condemn that,” said ADF Senior Counsel Kristen Waggoner. The American Civil Liberties Union (ACLU), which argued against Mr. Philips’ position, also found positive points in the narrowness of the Court’s ruling. “The court reversed the Masterpiece Cakeshop decision based on concerns unique to the case but reaffirmed its longstanding rule that states can prevent the harms of discrimination in the marketplace,” said Louise Melling, the ACLU’s deputy legal director. Orthodox groups, several of which had submitted legal briefs in favor of Mr. Philips’ arguments, expressed mixed sentiments. The Agudah also made note of the opinion’s statement that a member of the clergy “could not be compelled” to officiate at events that violate the tenets of their faith. Nathan Diament, the Orthodox Union’s executive director for public policy, “welcomed” the ruling in purely positive terms.